Ransomware is a growing problem. Protect yourself with knowledge and free tools. Ransomware is malicious software that infects your computer, encrypts your files, then demands a ransom to have the files unencrypted. Why do bad guys use it? Because it pays, handsomely. When the numbers are in for 2016, it is expected that ransomware purveyors will have made $1 billion last year. That's pretty huge motivation for the bad guys to put more and more resources into creating, distributing, and dreaming up ever more creative ways of delivering ransomware. Why would someone attack my computer? Unfortunately, the bad guys don't care whose computer it is. There's a chance you'll pay, so you become a target. It's indiscriminate. Won't my antivirus protect me? It may, but in many cases it doesn't. The best solution is to keep from becoming infected. Everyone makes mistakes though, and the free tools mentioned here may protect you when your antivirus fails to. An ounce of prevention is better than a whole bunch of system restoration or ransom paying. Ransomware is like any other malware, in that you have to click on or install something to become infected. Here are a few things you can do to protect yourself. Don't click on links in email from untrusted sources. Don't open attachments sent to you from untrusted sources. Keep your operating system and applications up to date with the latest patches. Run up to date antivirus. Run one of the free tools cited if you use Windows or MAC. 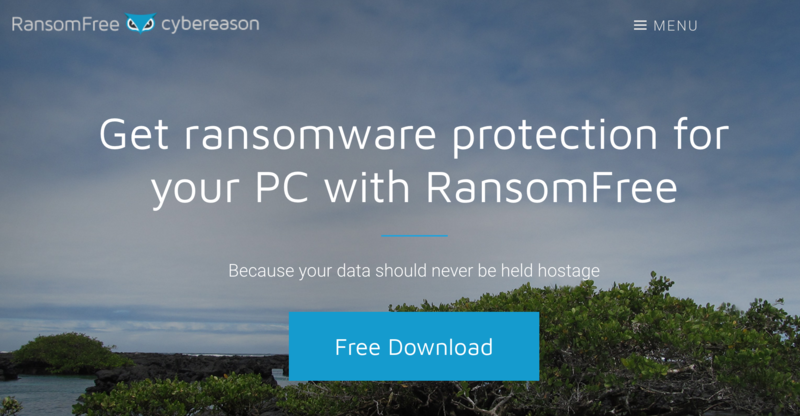 RansomFree by Cybereason is the Windows utility. [update] So sorry, but it looks as though RansomFree is no longer available. You may find a suitable replacement here. RansomWhere? is the Mac OSX tool. Let's say all the steps above fail you, and your computer becomes infected. How do you recover? Back your systems up regularly. You can restore your system, then recover the data from backups. If you're a home user, invest in an external hard drive or USB storage device that can hold all your important data. Back up regularly. I would recommend weekly at a minimum. Leave the backup device unplugged unless you're actually doing a backup. If it's plugged in when the ransomware strikes, it could be encrypted too! None of this, patching, backing up, not clicking on or downloading things, is new information. It's the same stuff we've all been hearing for years. Why does it still pay? We aren't following the advice or we aren't as good as we think we are at backing up and restoring.